A team of Irish-based researchers have been given the go-ahead by the European Space Agency to develop Ireland's first satellite. If stringent criteria are met, the Education Irish Research Satellite 1 or EIRSAT-1, will be launched from the International Space Station within a number of years and will orbit the Earth for a year. This small shoebox sized Cubesat is being built by students at University College Dublin and Queens University Belfast, with the assistance of academics, five Irish companies and the European Space Agency. The proposal was picked by the agency under its Fly Your Satellite programme, which aims to inspire, engage, and educate university students for a future in the space sector. Over the coming months the space craft will be designed, tested and readied for launch. 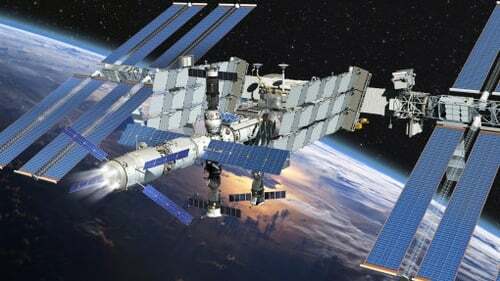 If strict tests and reviews are completed, it will be launched to the International Space Station and put into orbit, with management and control from a ground station at UCD. The device will carry two payloads containing technology from industrial partners that will fly in space for the first time and will gather data on Gamma Ray Bursts. Among the Irish-based companies providing help are Resonate Ltd, ENBIO, SensL, Parameter Space and MOOG Dublin. The development has been welcomed by Minister of State for Training, Skills and Innovation John Halligan, who said it represents a giant leap for the €75 million a year Irish space sector and would be of enormous interest to the entire community. It has also been welcomed by the space industry here and will be used to inspire young people to study STEM subjects through an outreach programme developed by CIT Blackrock Castle Observatory.